When’s the last time you did something for the first time? Well I just did. You know that very good business advice we give that sometimes you have to step back and work “on your business” and not just “in your business”. 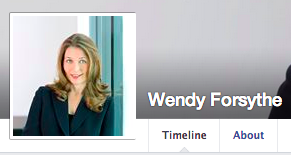 Well I took that advice and spent two days working on the business of me… brandwendy! My advice and encouragement to anyone reading this is that you should do the same! you look great!!! and i think you should be the guest speaker next year! i am so attending if you are 🙂 do you remember that book you gave me “nice girls don’t get the corner office”? I do remember that book and I’m so happy you do! You are rocking it and I’m so proud. Miss you and thanks for staying in touch. By the way… I have a corner office now and I also think I’ve managed to stay a “nice girl” along the way!